As the name suggests, these aluminium windows are fully reversible and suitable for all types of property but a particularly popular choice for high rise applications such as offices, apartments and townhouses. 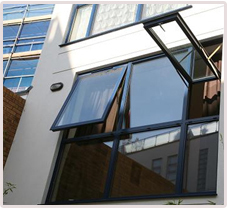 They are designed with a 180 degree reversible action on a canterlever hinge, which means that the external face of the window can be easily and safely cleaned from inside the building whilst at the same time allowing high levels of ventilation as well as allowing high levels of light into the building. The opening action is restricted for safety reasons. Contemporary in style, enhanced by slim sight lines, our reversible windows are thermally broken* for maximum thermal efficiency. Glass sealed units are internally beaded to allow fitting or replacement from the inside. 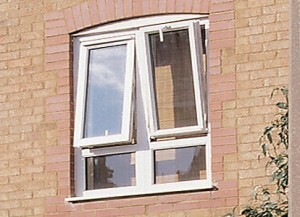 All reversible windows are supplied and fitted white as standard but can be powder coated to any standard RAL colour to meet your specific requirements. High energy efficiency sealed glass units are available in a large number of styles and can be tailored to your needs.